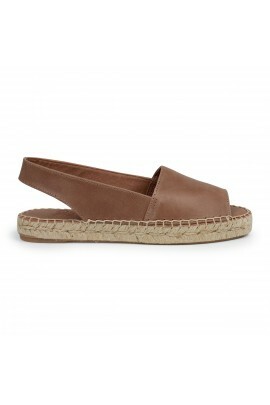 Wedge espadrille of 5,5 cm color tan. Made in raffia 100% recycled color blue. Very light. Fits true to size. Leather cushion insole which makes it very comfy.